It’s been quiet on this blog, and for that I apologize. But the truth is, there just isn’t much going on in the weather world at the moment. The east coast is currently slipping and sliding on ice, snow and sub zero weather while we have to “endure” the occasional pitter-patter of raindrops on the roof with the chance of a few sunbreaks by the afternoon if we’re lucky. Gone are the days (for now) of snow maps. What you see above this text is a map illustrating 24-hour rainfall totals across Western Washington by Thursday morning at 4 am. Mason County looks to get in in close to an inch of rain, with most Kitsap locations getting about a half an inch. Still, this is relatively a lot of rain considering we haven’t seen a weather system this juicy since early November. And this isn’t even an El Nino year! Alas, our “wildcard winter” has, at least so far, been quite a dud. Ask any skier and snowboarder in Washington State, and they’ll give you an earful. So how are the mountains looking over the next few days? Marvelous for Stevens Pass, as these systems will be just cool enough to bring several inches of snow to the higher elevations. 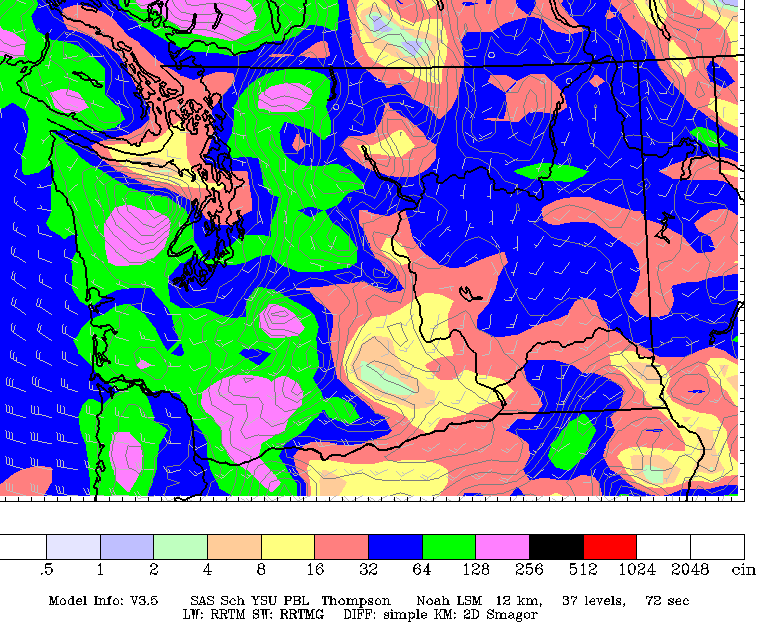 Snoqualmie won’t be so lucky, however, as most of what falls there should be rain/snow, or just plain rain. A stronger weather system moves in over the weekend, and this could provide quite a bit of rain and wind. In fact, gusts could make it between 40-50 mph, so that is definitely something to keep an eye on, especially since it’s game day in Seattle. But a little rain and wind has never stopped a true Seahawks fan! Stay tuned. For now, have a wonderful week. Matt: Still around, in the background. Thanks for the heads up for this week. It would be nice if a little drama would come our way. It’s the season and it is drizzling away, literally. Of course this is obvious to us all. Seems we live along the back waters of the North Eastern Pacific, protected by an over zealous mother, the big gray, the doldrums. Meanwhile, back on the Sun I have been hanging out on the incoming limb with these guys from Suspicious Observers commenting on the low activity level of the current cycle as it relates to past cycles and the occurrence of colder climate conditions here on earth. Get a bead on this guy from Suspicious Observers on Youtube. Tell me what you think. As the ball goes through the net and your forecast hits the nail on the head. Saw some good “Gully Wompers” Friday and Saturday. Even my dogs fret.